This subject is a little deeper than just beating the jab. The tips I will give you will also help you beat the taller fighter or fighter with better use of his reach, the faster fighter, and the fighter who fights on the outside. First I would like to clarify something I said: fighter with better use of his reach… Often, the taller fighters does not have good use of his reach as a advantage. A few good examples of this would be tall power punchers, or fighters who are tall but prefer to use short punches like the hook and uppercut. Or worse–taller fighters who like to clinch, fight inside or do not have the ability to keep shorter fighters away. Sometimes the taller fighter does not have longer arms, while a shorter fighter may have longer reach. If anyone has ever fought with a reach disadvantage, this can be a frustrating experience whether or not you are quicker than your opponent. Ditto that for fighting a guy who is faster than you are. Just as frustrating as that is a fighter who fights you on the outside (meaning from outside your front foot), when you can’t seem to reach him with your rear hand. The ironic thing about this article is that I am about to show you how to beat me. For those who know me as a fighter, my strengths are that I fight from the outside, I use my reach well despite being only 5’7″, and I have a speed advantage over my opponents. On top of that, I am not afraid to get hit. The result is that I have several disadvantages, as do many fighters who have my qualities and characteristics. Where possible, these are the things I teach my fighters to use as well as the advice I am about to give you to beat this strategy. First, you have the choice of trying to beat an outside moving opponent to the button versus fighting him on the inside. The outside firing position has many advantages, but it also has its disadvantages. One of the disadvantages is that whatever you throw will not come down the centerline. If your opponent is a master of the centerline, he will intersect you at whatever you decide to use. (Side note, this is the primary principle behind a famous Eagle Claw form called Jeet Chune. You guys may know the rest) When you fight your opponent on the inside, shorter arms are actually a plus. Speed is secondary also. Go open. In this, I mean that if your opponent has his left foot in front, put your right foot forward. It will change much of what your opponent may have planned for you. The dynamics of the change of angle will confuse many opponents who have not prepared for this position. Then instead of fighting for the outside position, circle in the same direction he is going. This will put him right in firing range of your rear hand, which is now in the power punching position. Attack him in 2s and 3s. This is a universal fighting strategy for me and my style, yet you would be surprise how many fighters have no answer for it. Punching in combination is not natural for many fighters and they don’t do it well… let alone defend against it. Give him your head. As he moves drive forward with the top of your head. If he’s smart, he will uppercut you but that will leave his own face open and vulnerable to attack. He could also attack with a hook, but since he is lateral moving he will not have good power or timing to make it meaningful. If this is a streetfight, drive forward until you have headbutted him. A great fight strategy. Anyone who tells you otherwise can just put the gloves on and prove it to you. I know this technique well and will stand by it should we ever meet in person. If you use it, someone’s getting hurt–point blank. Break away and put yourself out of firing range to break up his rhythm. Break away from his punching, not straight back. He will be forced to stop what he is doing and re-engage you. When you come back together, initiate the attack. But this time, attack the position you know he is moving to, not where he is standing. Another good fight strategy for faster opponents. Counter hit. Even if your opponent is faster than you are, you can still gauge when he will be open to get hit. This will take some guts to do and toughness on your part, as you must accept that you might get hit while doing it. The beautiful thing is, you will make him pay for hitting you too. After he has taken a few good shots your opponent may be more careful and hesitate when he fires, and this will give you an opportunity to come out on top. The way this works is that when you know he is planning to hit–most of the time you do, just too slow to stop it–brace yourself, cover and attack at the same time he attacks. While you may get hit in this strategy, if this is a faster fighter you are up against, he will likely be using quick punches rather than power punches (especially if they are off the front hand). You, on the other hand, will attack with power punches. So he jabbed you in the forehead–you power-punched to the nose. Who comes out on top? Hopefully I have presented this information in simple language and made it easy to understand. If you have questions, please post them and I will do my best to answer. If you are in the Sacramento area, email me and make an appointment to stop by the gym! I’ll even go a round with you to demonstrate if you need more detail. Thanks for visiting my blog. Ok I am copying this text right now bro. Hopefully I can try it out when you come to DC in April. Hey bring some gloves, I have my mouth piece. We don’t need anything else. That’s how we do it bro. 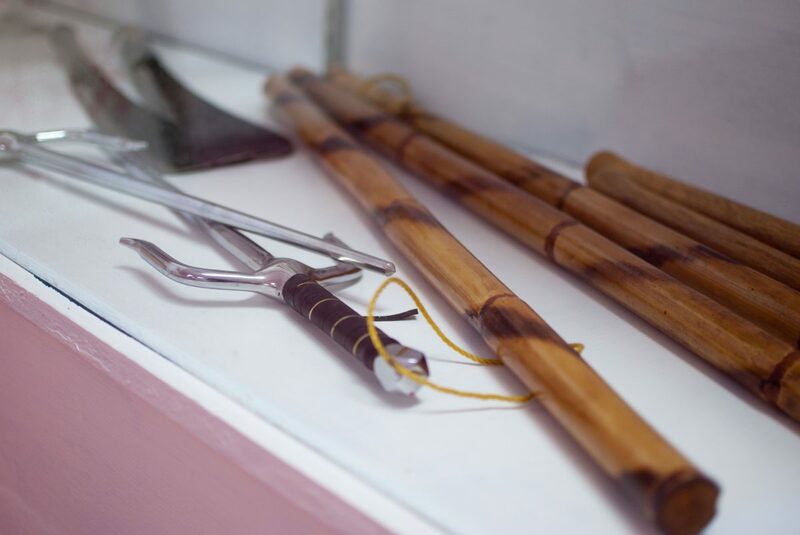 Should Eskrima Be Taught to Children?